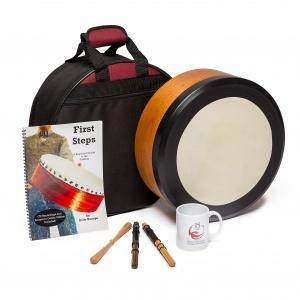 The Coreline encompasses our most recent bodhrán series with a fresh concept. With the new CoreLine we present our latest bodhrán series with a fresh concept. Whilst the CoreLine has benefitted from the experiences of producing and constructing the LightLine and BasicLine drums, it is not a successor to either, but an entirely new drum. Our aim is to deliver a top quality instrument in a wide range of sizes, providing the customer with great value for money. In creating the CoreLine, we drew from the very core of our experience and competency in bodhrán making. From the choice of material to the construction of the frame and the finish of the surfaces, all components and details are perfectly balanced. Our core values are attention to detail and great craftsmanship. We use "EdlauerSelect" Premium Goatskin, which is produced and refined exclusively for Hedwitschak drums by a world leading skin manufacturer. The process is carried out in accordance with our special specifications, and each skin is purposefully selected for the various CoreLine models. The multipoint tuning system works smoothly and allows for precise, quick and easy tuning. Thanks to the skillful shaping of the inner part of the tuning rim, the hand nestles naturally into place and is therefore very comfortable to play. The high quality of the CoreLine is emphasised by a classy cherry tree veneer. 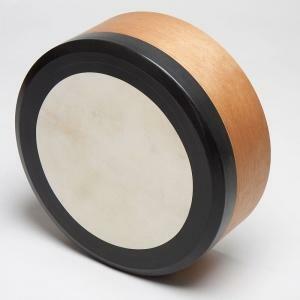 With the intricate contours and the flush to the rim skin mounting, the design of the CoreLine bodhrán demonstrates simple elegance and timelessness. (IDV=italian designer veneer) with dark stained tuning rim. The CoreLine that develops as you develop and can be adapted as your skills grow: Drum skins and tuning rims can be replaced and combined to match your requirements and preferences! 2 hotrods, a tipper, case, tutor book and mug!